What an awesome way to end the week! See below for videos and details. 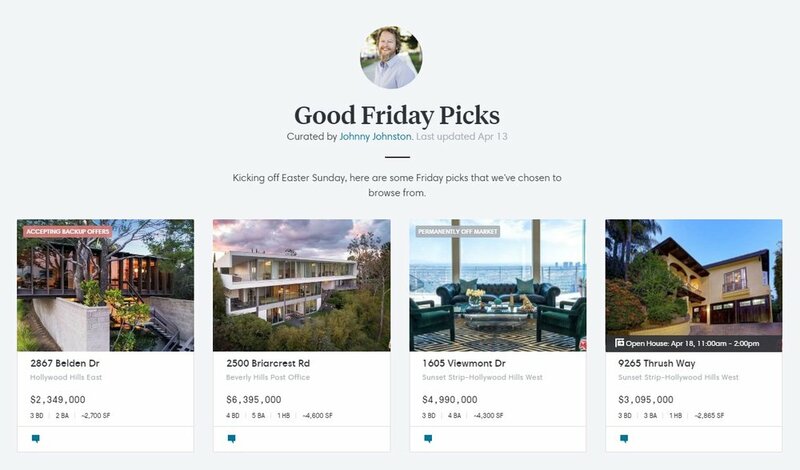 Check out The LA Home's "Good Friday" Picks! Create, comment, share,and add your own picks to your own personalized Collections! Sitting above one of Los Feliz‘s most prized streets, 4711 Bonvue marries modern functionality with the intoxication of 1920’s Spanish architecture. Fully renovated; no finish has been overlooked, no detail un-curated. Arches, coved ceilings, wood floors and windows, Spanish and Moroccan design throughout. On the main level are the public rooms; living, dining, kitchen, office and a family room. Upstairs are the en-suite master and 2 additional bedrooms (one of which leads to a separate, sun-filled studio/den). The lower floor contains it’s own kitchen, bathroom and entrance; the perfect in-law suite, screening room or potential music studio. 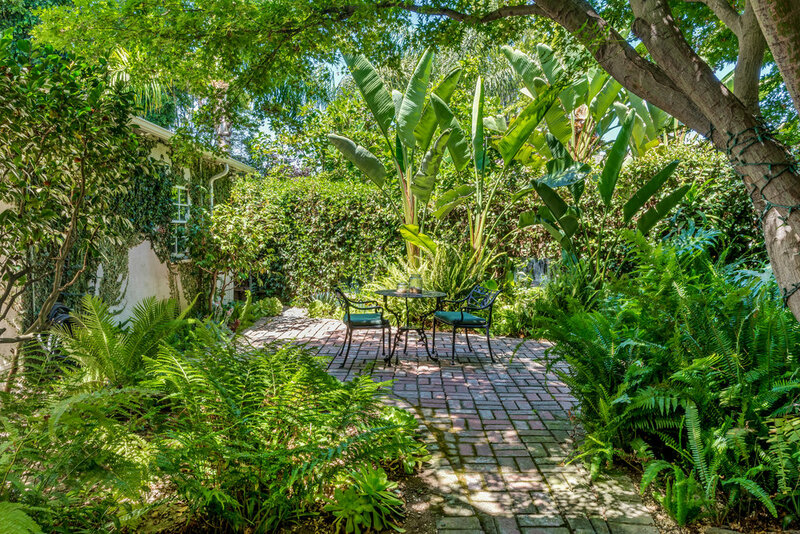 With a heated pool, private back yard and downtown framed through the trees, the house offers the best of privacy and proximity. At the base of Griffith Park and a moment from Los Feliz blvd., there is easy access to all that Los Feliz, Silver Lake and Hollywood have to offer. How life in LA is meant to be lived. Stunning, 2-story Monterey Colonial. North of Los Feliz Blvd – Griffith Park steps away. Every detail has been poured over with a devotion to the home’s original charm, including recent renovations of the kitchen and bathrooms. Downstairs – peg and groove wood floors, intricate crown molding and beautiful masonry adorn the public rooms. French doors open into a garden filled with ferns and dappled light. Upstairs – 2 en-suite bedrooms with private porches nestled amidst a tree canopy. Upstairs – 2 en-suite bedrooms with private porches nestled amidst a tree canopy.Watch the virtual tour here.